The Twinpower XD is developed for salt water spinning. The reel is made for 'rough' circumstances: salt water, wind, dust, etc. 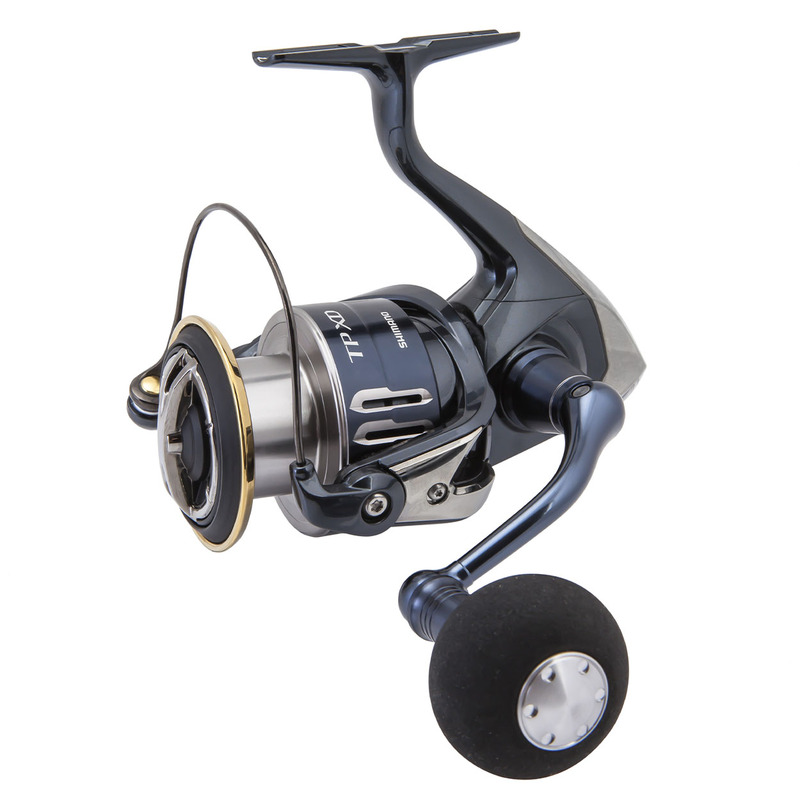 Because of the X Protect technology, the reel is suitable for these heavy conditions. It has an extra big handle knob for good grip, extra heavy duty drag with carbon dragplates, etc. How ever, it's not a typical SW spinning reel like the Twinpower SW / Socorro etc. ; it's much lighter and has a MGL rotor. This means this reel is most suitable for relatively light inshore fishing for species like seabass, bluefish, etc. with small / medium sized lures. For the heavy offshore spinning with big stickbaits and poppers, a typical reel from the SW series is more suitable. XShip is a combination of features that work together to create much greater efficiency. By positioning the pinion gear close to the centre line of the large diameter drive gear, more power is transferred from the handle to the rotor. The pinion gear is also supported by two Shimano ARB roller bearings. This creates more stability. The new design of the Magnumlite Rotor produces unprecedented light rotation. The rotor profile, which was previously symmetrical, is now asymmetrical. The bail arm mechanism, which was previously situated on the same side as the line roller, has been moved to the opposite side. This improves balance and combined with a lightweight line roller, titan bail and optimum arrangement of rotor thickness, a 14% saving in rotation inertia has been achieved increasing sensitivity to previously unreached levels. Rigid Support Drag eliminates spool movement and wobble, even at light drag settings. The result is an incredibly smooth drag even at extremely light settings. Shimano S ARB bearings are high corrosion resistant ARB ball bearings with an extra shield for improved protection against sand, salt or dust.